I have always been interested in the way the human body works and am grateful that I can work in a field that focuses on helping people return to the things they love to do. 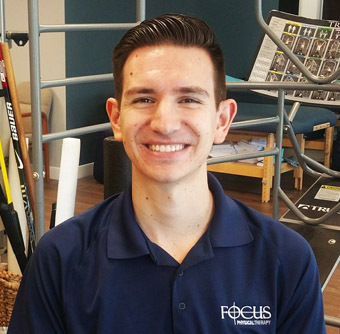 I founded Focus Physical Therapy with the vision of treating patients and clients as individuals, each with their own goals, values and desires. Helping them return to the life and activities that makes them happy is what inspires me to continue to learn. I believe in the value of touch and manual treatments. 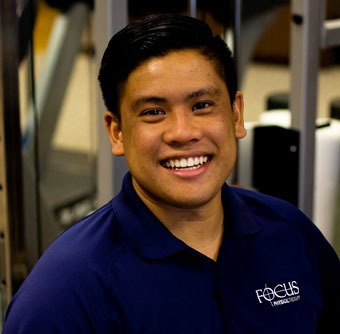 At Focus we facilitate healing through a combination of movement science (Applied Functional Science ®) and manual therapy techniques. Very few of my patients could be considered textbook cases. I listen carefully to them, to better understand their needs and establish goals that are meaningful to them, and will do my best to answer all their questions. What is one of your favorite sayings? Crashing waves and my kids laughter. I have always been interested in the impact of exercise on overall well-being and prevention of injuries. 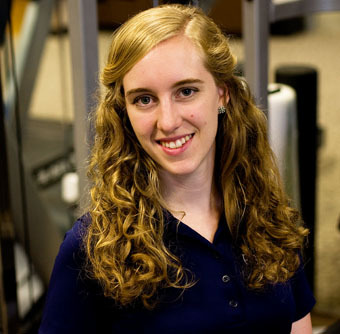 My experience playing sports and volunteering with the Muscular Dystrophy Association has taught me the importance of exercise, revealed my true passion in helping others and ultimately led me toward the field of physical therapy. At Cal Poly, I studied human anatomy/physiology with a minor in microbiology, allowing me to combine my interest in the human body with public health. I earned my doctorate at the University of St. Augustine, where I learned the importance of providing each patient with appropriate hands on physical therapy treatment to fit their individual needs. I value the importance of listening to my patients and believe patient education is a key to positive outcomes. 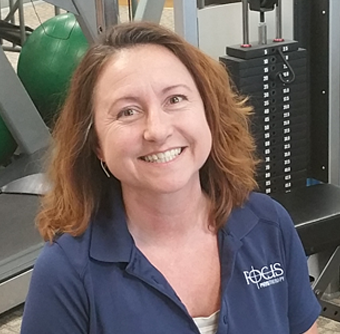 I strive to help patients meet their functional goals, decrease pain, and improve well-being by returning to activities and hobbies. Favorite body part, fabella. Look it up. Also who can’t love something with such an awesome name. The best Christmas gift I ever got was in high school finding out I got accepted to Cal Poly SLO a couple days before Christmas. A physical therapist! In first grade I wanted to be a florist, and while in school I was able to fulfill that dream for 5 years. What is the coolest car you have driven? I have always had a love for biology and anatomy, and I wanted to follow two of my sisters into healthcare. I played sports throughout my life and while playing volleyball in college, I suffered an injury. 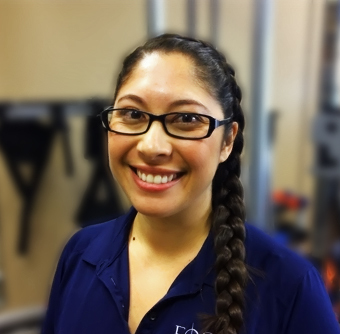 The therapist that treated me, inspired me to pursue my career in physical therapy. At Wichita State University I studied Health Science which gave me a solid foundation of nutrition, biological sciences, and public health. I received my Masters of Physical Therapy from Wichita State University. It was there that I found my niche in outpatient orthopedics. Since that time, I have also pursued training in vestibular rehabilitation and treatment of patients with post-concussion syndrome. I believe that each patient is an individual with a unique presentation. I enjoy solving each “patient puzzle” and returning people to their desired activity or lifestyle. Playing volleyball or walking the local trails. Taking our dog, Jessie, to the dog park. Balls bouncing and shoes squeaking on a gym floor. I didn’t get in trouble! My first encounter with Physical Therapy was when I was in High School. I had a knee injury playing basketball, but really never understood the science behind it until my grandfather had a stroke. The time, passion, along with anatomy and physiology all integrated to help my grandfather to be more functional was intriguing. Also, it all applied to what I like most, sports. 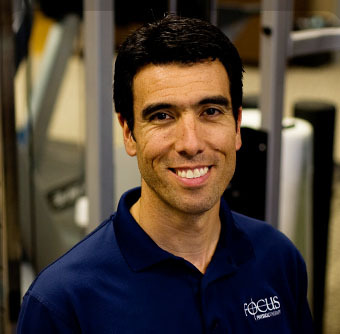 With my fair share of injuries, I am able to relate to patients with regard to pain, have a better approach for sport injury prevention, and helping the patients to return to their functional state. 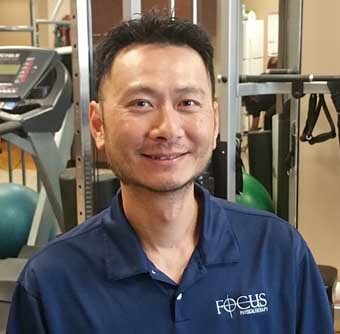 I like the one on one approach to help cater to each patient’s individual needs, and to educate the importance of exercises, modification of life, body mechanics, and posture to return to a better quality of life. I also greatly enjoy volunteering as a Little League Umpire to help the community, and provide young athletes proper guidance and exemplary leadership. Sleeping does a body good. Ming the Merciless from Flash Gordon. Fits what I do for a living. Pay off all bills, donate, and invest. What was the last movie that made you tear up? I avoid movies that make me cry. Not having to worry about responsibilities and being free to play. Anything outdoors. Kayaking, hiking, running, swimming. The biggest exception to that, is dancing…you can do that anywhere. Oh, and nothing that involves snow. What is your favorite time of day/day of week/month of year? My favorite time of day is the hour or so before sunset. Get in a swordfight, maybe? That changes all the time. Currently, “Shiver me Timbers” by Tom Waits. I like to have a lot of diversity in my life. Diversity in how I spend my time, what my interests are, and having friends with all kinds of backgrounds and interests, as well. You get a chance to learn a lot that way. I like to spend my time traveling, whenever possible, cooking, reading and doing any active thing I can do outdoors, such as hiking. I enjoy my job because it is very rewarding to be a part of the process that helps people get back to what they need and want to do most. Also, I find the human body and how it all works very interesting and I learn something new almost every day. I have a great time getting to know our patients, too. I have always been passionate about helping people both physically and mentally. My dream as a child was to become a professional soccer player, and after my junior year of high school I was offered a scholarship to play at the collegiate level. I unfortunately injured my knee the following year and was unable to continues towards my soccer career. Due to my injury, I was exposed to physical therapy and I saw an opportunity to make my passion for helping people a career. I received my degree from Stanbridge University and graduated in 2017. I have had the opportunity to work with a variety of patient populations over my short professional career, including professional athletes. I am a board certified Physical Therapist Assistant. My goal as a therapist is to treat every patient with the same respect and attention, while designing a personalized treatment plan for each individual to return to their daily routines, careers, and hobbies. I really enjoy playing kickball, football, baseball, and volleyball during family get-togethers at the park. Other than that, I enjoy circuit training in my garage. What is it, and why is it your passion? Painting is my passion. I have always had a passion for art and creativity. Then one day, I decided to pick up a brush and have been hooked ever since. December, because its the only acceptable time to constantly listen to Christmas music. I graduated from Cal State Fullerton with a Bachelor’s Degree in Kinesiology. 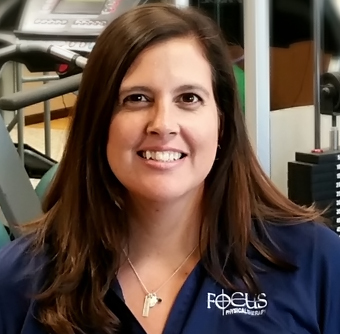 Before joining the team at Focus, I used to train kids and athletes about the fundamentals of basketball and ways to enhance their skills and performance. I have always had a passion for helping others, but working with Focus has only made that passion stronger. Currently I am continuing my education and pursuing my goal of becoming a Physical Therapist.